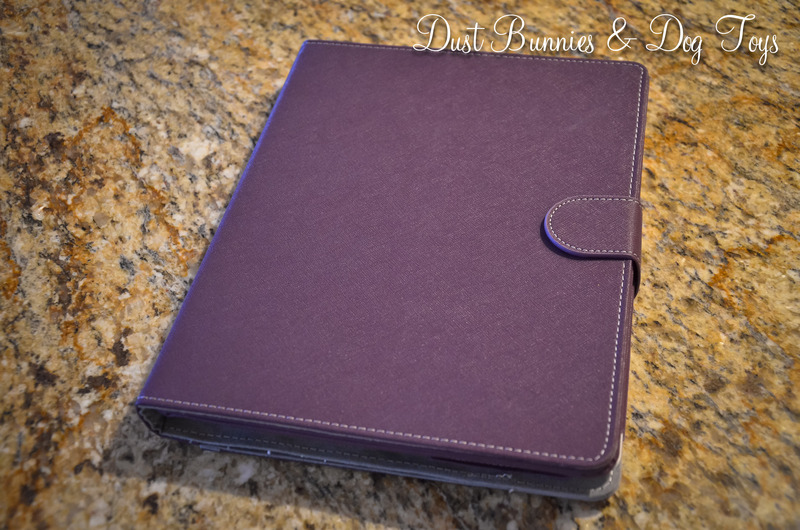 When I first bought my iPad about a year ago I picked up a purple case to protect it. At the time I thought it was perfect, simply because it was purple. But the more I used and traveled with my iPad the more I realized I wanted something a little different. I had purchased a wireless keyboard to use with the iPad, but it was cumbersome and required I pack an additional item and have spare batteries in case it died. I’d looked at a few options locally, online and while traveling, but nothing spoke to me and most were more than I cared to spend unless it was perfect. So I decided I’d live with what a I had for a while until I found something just right. Then while waiting for me at the hair dresser’s my hubby unknowingly set my iPad on the radiator for a few moments and created a not so lovely pattern on the backside of the cover. 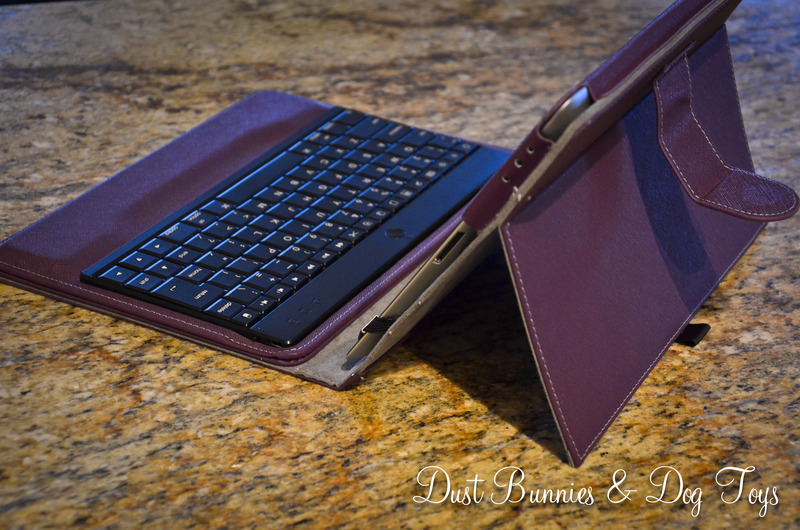 While I’m glad it happened to the cover and not the iPad, it made me want something new even more. So I hit Google. It took some digging, but I finally found something that would work and for only $30 it was decently priced. I hit order and it arrived within a week. 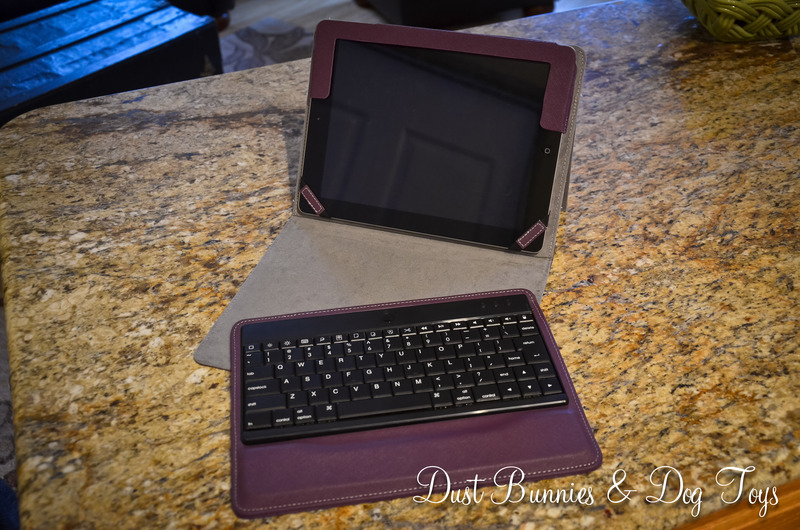 The new case has an included, yet detachable keyboard which makes traveling much easier. It even has a built in wrist support! I have noticed that the keyboard is slightly smaller than normal so sometimes I type gobbley-guck without realizing it, but other than that it works like a dream. The stand portion is a also a little small so I’m still figuring out different configurations and angles I can use, especially for my weekly Skype call with my family back east. I do love the little tab that keeps it closed too. It is magnetized and will put the iPad to sleep when everything lines up when it’s closed, which is a nice little feature. Similarly the keyboard had a lock button that ‘sleeps’ the iPad instantly just in case you need to hide whatever you’re working on from those around you.